With another year in the books, it’s time to reflect what kind of year its been for books. Young-adult franchises continue to sell extraordinarily well. Both The Hunger Games and Divergent series popping up on best-seller lists again and again. For the younger crowd, each new Diary of a Wimpy Kid installment also rockets to the top of the charts . Meanwhile, book from political figures and commentators continue to do well. Conservative pundit Bill O’Reilly’s Killing series scoring another hit with Killing Patton. Stephen King scored a couple of new hits, with Revival and Mr. Mercedes both being published this year. Inspirational and religious-themed books also cracked the top tier. For the purposes of our list we’ve left out those series that have made a habit of camping out near the top spots. Instead focuses on singular novels and non-fiction books that have captured our collective imagination. Inspirational stories of perseverance in the face of seemingly insurmountable adversity are almost always a hit with mainstream audiences. Throw in a true story involving an athlete surviving an against-all-odds scenario during World War II. You pretty much can’t miss. Unbroken is the biographical tale of Louis Zamperini’s harrowing ordeal and heroic triumph when the whole world had gone mad. A former Olympic track star, Zamperini somehow survived a plane crash in the midst of the Pacific front of WWII. Drifting on a raft for 47 days, he was then captured by the Japanese, enduring a brutal two-and-a-half years in a POW camp. Unbroken was published in 2010. But its sales soared in 2014 thanks to the film adaptation by Hollywood icon Angelina Jolie. Thanks to a wooden scale-model her father has constructed for her. Meanwhile, in Germany, an orphan boy named Werner uses his uncanny skill with circuitry. Repairing a radio and listen to messages from France. This skill ultimately gets him sent to a horrible academy for Hitler youth. He is forced to use his talents for the Third Reich. Ultimately, as the years pass, Marie-Laure’s and Werner’s paths cross in a book nearly as intricately crafted as that scale-model of the city. 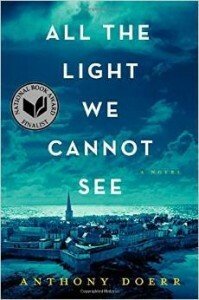 All the Light We Cannot See was a hit with critics as well as book buyers. The novel was a finalist for the coveted National Book Award. As demonstrated by the smash success of the film adaptation of The Fault in Our Stars, young-adult fiction remains as popular as ever. These works are often even more successful when dramatic struggles between life and death are involved. 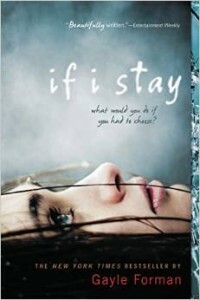 If I Stay centers on 17-year-old Mia and the aftermath of a disastrous car crash, involving her family. In the throes of a coma, Mia travels outside of her body and observes her family and friends gathering at her hospital bed. She ultimately is faced with the choice of returning to her body. Living a far more physically challenging life or letting herself drift off into death. This 2009 YA novel rocketed back up the best-seller charts thanks to its film adaptation, released earlier in 2014. Along with death and taxes, one of life’s other certainties is that a new John Grisham novel will invariably end up on a best-seller list. Nobody does legal thrillers quite like him. 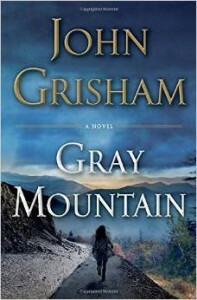 Gray Mountain is set in the year 2008, and protagonist Samantha’s career is on the rise as a Wall Street lawyer. Then the recession hits and she finds herself in a free fall. Transported from Manhattan to a volunteer legal-aid gig in Appalachia. Clinging to the slim chance she’ll regain her high profile job when the economy bounces back. The small-town locals don’t take too kindly to the new city-slicker lawyer in their midst. Samantha is soon thrust into the dark side of the coal mining industry, where things can easily turn deadly. Another year, another lucrative hit for John Grisham. This entry was posted in Book Recommendations by . Bookmark the permalink.